Hot on the heels of news that Sprinter Sacre won’t be appearing at Cheltenham, the Festival lost it’s second headline act after Colin Tizzard revealed Cue Card will not be featuring at Prestbury Park. Having bested 2013 Gold Cup winner Bobs Worth in winning the Betfair Chase at Haydock Park in November, the eight-year-old was set for a crack at the Cheltenham Gold Cup at jumps racing’s greatest meeting. His absence hasn’t affected the odds for Friday’s showpiece greatly, as favourite Bobs Worth still heads the betting at 6/4. He’s tracked by Silviniaco Conti, who toppled Cue Card at Kempton’s King George VI Chase, at 5/2. However, it is the Ryanair Chase, in which the Tizzard family claimed victory through Cue Card last year, that has been opened up with the news of the Venn Farm Racing star’s muscle injury. We’ve already tipped Benefficient as the best ante-post bet for that race, and he’s joined at the top of the market by three other 4/1 rivals: Dynaste, First Lieutenant and Al Ferof. 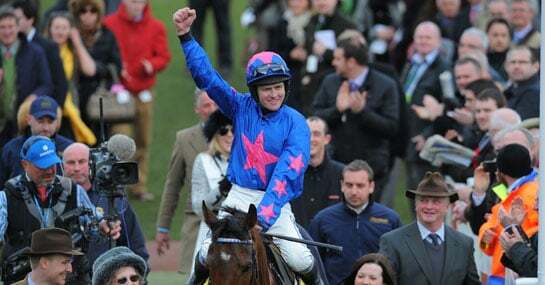 Speaking of the decision to pull Cue Card from the festival, Tizzard said: “After a routine canter we had to make the decision he will not be going to Cheltenham as it appears he has pulled muscles in his back. A Festival winner in 2010 too, in the Champion Bumper, Cue Card’s injury is yet another blow to the much-vaunted meeting’s star appeal. Sprinter Sacre has already relinquished his Queen Mother Champion Chase crown, with Kid Cassidy among a trio of outsiders now fancying their chances to claim a famous victory. But, with the ground set to be among the more testing, this may not be the last pull out.